Although you might not know much about living in Alaska, this is not a state to overlook when considering where to move. If you decide to relocate to the Last Frontier, you’ll have a vast pristine wilderness at your doorstep, and you won’t have to sacrifice modern conveniences to explore it. And another bonus? DailyFinance ranks Alaska as the most tax-friendly state in the U.S.
Alaska is known for having friendly residents who look out for one another. That may be because many Alaskans share a similar outlook on life, as evidenced by the motto, “We don’t care how they do it in the Lower 48!” Alaskans also share a love for outdoor adventure. They like the remoteness of the area, but they believe fellow residents will lend a helping hand when needed. And, of course, Alaska is a hiker’s dream, home to Denali National Park and Preserve, Kenai Fjords National Park, and Wrangell–St. Elias National Park and Preserve. What about city life? 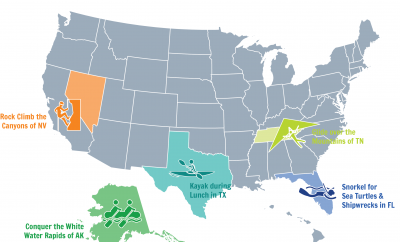 We’ve picked three cites in Alaska—Anchorage, Juneau, and Sitka—that we think are ideal for families, based on the following factors. If you’re looking for work, Anchorage has fared better than the rest of the state. The industries that showed growth as of September 2013 were oil and gas, health care, construction, and education. The unemployment rate in Juneau in 2012 was 3.7 percent, which is lower than Alaska’s unemployment rate of 5.8 percent that year. Income per capita was higher in Juneau than it was in the rest of Alaska, as was the median household income. The unemployment rate in Sitka in 2012 was 4.4 percent, well below the state’s overall rate. 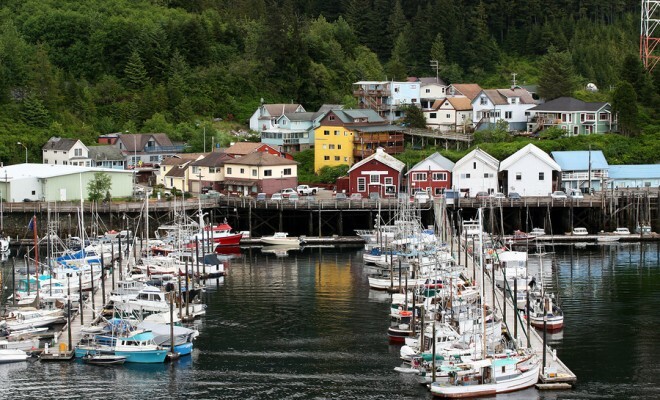 Sitka also earned AreaVibes‘ number one designation for livability in Alaska. This city has a lower crime rate than Alaska as a whole and a shorter average commute time (13 minutes). Houses cost more, but that’s because Sitka, a beautiful city on the ocean, is a desirable place to live. Alaska holds a unique position when it comes to taxes. The state gets most of its revenues from oil leases and from gas and oil royalties, making it possible for residents to enjoy zero state income taxes, no state sales tax (although some municipalities collect sales tax), no inheritance tax, and no property tax in many areas. Of our three best cities for families, Anchorage collects no sales tax, Juneau has a 5 percent sales tax, and Sitka charges a 6 percent sales tax. All three areas are subject to property taxes. 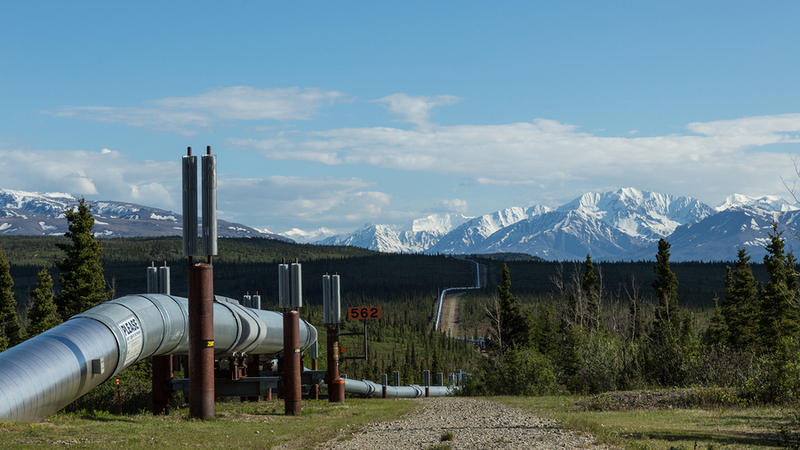 Note, however, that oil prices have dropped considerably in 2015, which could require some changes in the way Alaska operates. Reversal becomes difficult after any type of tax is enacted, but Alaska successfully ended its state income tax in 1980 when Governor Jay Hammond signed a bill abolishing it. Many states want to get rid of their income tax, but lawmakers fear losing state revenue. “Wealth of States” points out, however, that people often leave states with a high income tax for states with low or no income taxes, which also results in a loss of revenue—and can leave states in a worse economic position overall. If you’re an outdoorsy type who wants an affordable lifestyle for your family, consider Alaska, where you can enjoy hiking, camping, backpacking, biking, fishing, skiing, clean air, friendly neighbors, and even friendlier tax policies.